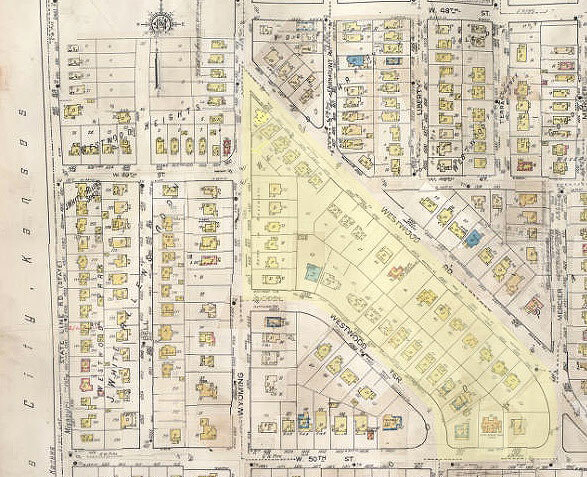 Do you know this history of this Westwood Park neighborhood block? As part of our Uncovering History Project, the Midtown KC Post is taking a look at the 1940 tax assessment photos of each block in Midtown. Today, we look at some of the homes in Westwood Park, a Kansas City neighborhood just across the state line from Westwood, Kansas. Developed beginning in 1913, J.C. Nichols stepped in in 1921 to help sell lots, and boasted he sold 25 percent of the home sites in the first week. Westport Park offered two-story homes and “well-designed” bungalows,” according to newspaper ads. Outdoor activities center around the 9.3 acre Westwood Park, which was added to the city park system in 1943. 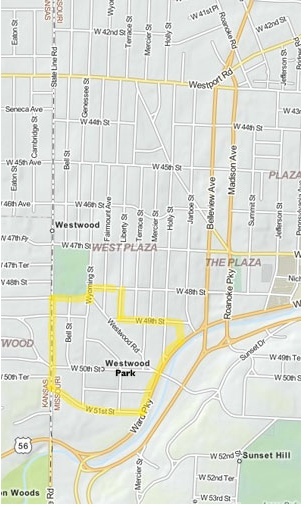 Today’s slideshow features the area from Westwood Road southwest to Westwood Terrace, and Wyoming Street southeast to 50th Street. The slideshow at the end of this post shows all of the buildings that existed in this section when the 1940 tax photos were taken. This Sanborn Fire Insurance map (above) from 1917-45 shows the properties in this section of the neighborhood. But we’d like to hear what you remember of this block. We’ll share your history and help to preserve it on our website. Maps and photos courtesy Kansas City Public Library Missouri Valley Special Collections. My dad lives in that neighborhood. 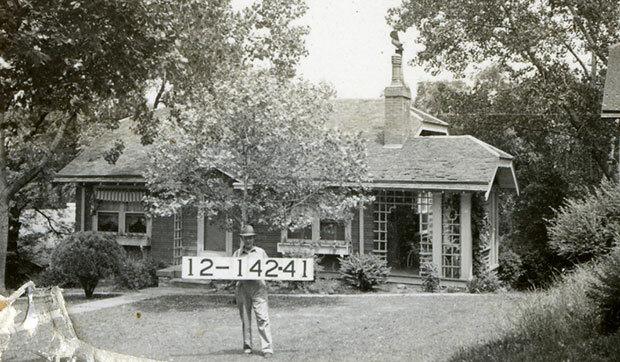 Very cool to see what his house looked like in 1940!